More and more breweries are investing in practices to save energy and reduce greenhouse gases. Will it pay off? A study by Indiana University researchers suggests it may. Drawing on survey research, they find that a majority of U.S. beer drinkers would be willing to pay more for beer produced with sustainable practices. On average, they would pay about $1.30 more per six-pack. "The takeaway for the brewing industry is that it is financially feasible to introduce energy-saving practices into the brewing process," said Sanya Carley, associate professor in the IU Bloomington School of Public and Environmental Affairs and the first author of the paper. "Even if it ends up adding costs, more than half of all beer consumers are willing to absorb those extra costs." The study, "Willingness-to-pay for Sustainable Beer," was published by the journal PLOS ONE. Lilian Yahng, director of research and development for IU's Center for Survey Research, is a co-author. The research highlights potential for energy savings and sustainability in an energy-intensive industry that is growing rapidly, especially in the craft-beer segment. The number of craft breweries grew by over 200 percent between 2005 and 2015, and their production increased by over 12 percent each year. The industry has considerable potential for reducing energy use and mitigating its impact on climate change. Some breweries have already added solar panels, installed onsite wastewater treatment plants, insulated brewing vessels and recaptured steam from the brewing process. But those kinds of measures require upfront investments that are likely to increase prices. To determine whether consumers would be willing to pay more for sustainably brewed beer, the researchers drew on a survey of over 1,000 self-reported beer drinkers, all over age 21. They found that 59 percent said they would pay more. Consumers who already pay more for their beer were most likely to be willing to pay a premium for sustainability. Also, those who said they would pay more for sustainable beer were likely to report lifestyle activities associated with the common good. For example, they spent time in volunteer work or engaged in recycling, composting, and buying locally produced food and products. 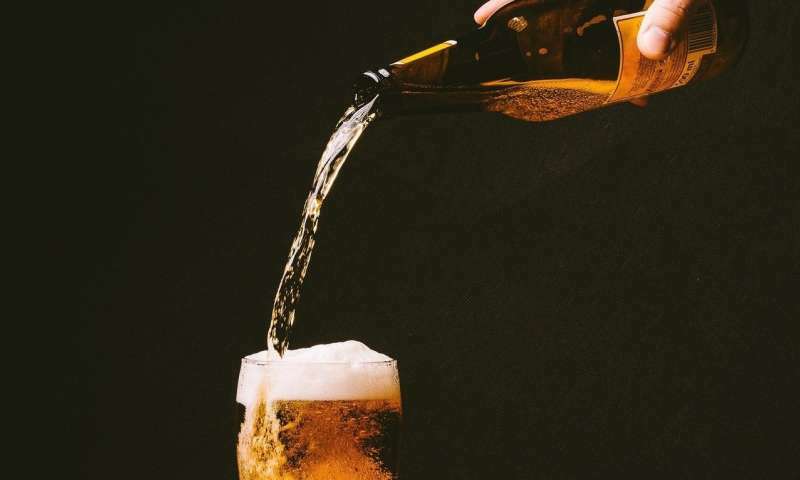 Surprisingly, however, there was no significant correlation between the type of beer that consumers preferred and their willingness to pay more for sustainability, after controlling for differences in price. Consumers of traditional American lagers—think Budweiser and Coors—were as likely to be willing to pay more as those who prefer craft beers, a category that includes such exotic brews as avocado honey ale and a wild ale brewed with yeast cultured from the brewmaster's beard hairs. That said, the proliferation of beer varieties suggests that brewers will have to find new ways to distinguish themselves in an increasingly crowded market. Carley said the research suggests that going green could be a way for beer companies to do just that.